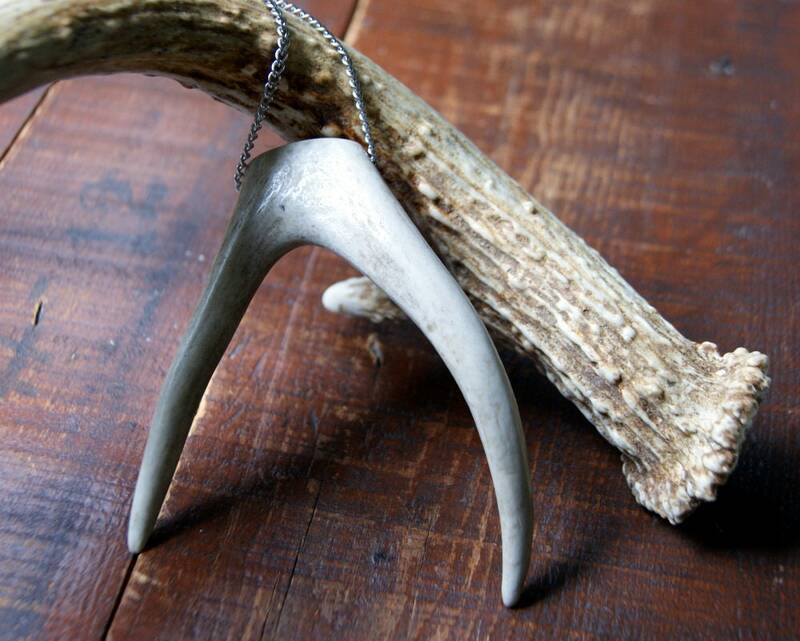 A LARGE forked antler tip hangs from a vintage stainless steel chain. The necklace closes with a stainless steel lobster clasp. The tip is approximately 4 1/4" to 4 1/2" at the longest point. Choose antler choice at checkout.